restaurant review | La Rosilla - Lifestyle and food. A few new delicious finds. It’s always a delight to find somewhere new to eat, that surprises you or exceeds your expectations. Recently we’ve been fortunate to find two delectable places, both so different to each other, but both that ticked our ‘delicious’ box. La Maroma, is tucked up high in the mountain village of Canillas de Acietuno, we had a quick pit stop whilst waiting for a delivery driver to turn up …another story. Thinking we’d just have the obligatory ‘Pitufu Catalana’ ( Crusty bread, serrano & tomato) and coffee , I spied another tables dishes, and had to take a look at the menu. 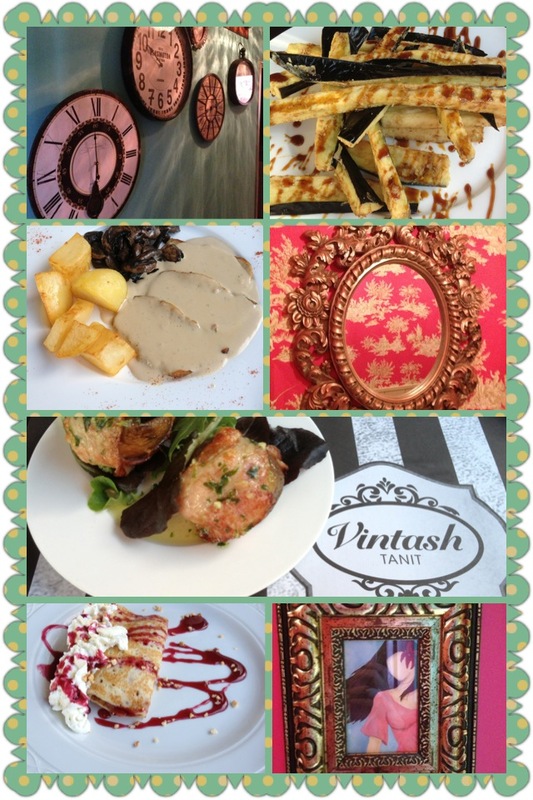 We were on a short time limit, but were pleasantly surprised by the innovative menu and superb friendly service. We chose a quail salad & Baked brie with figs to share. 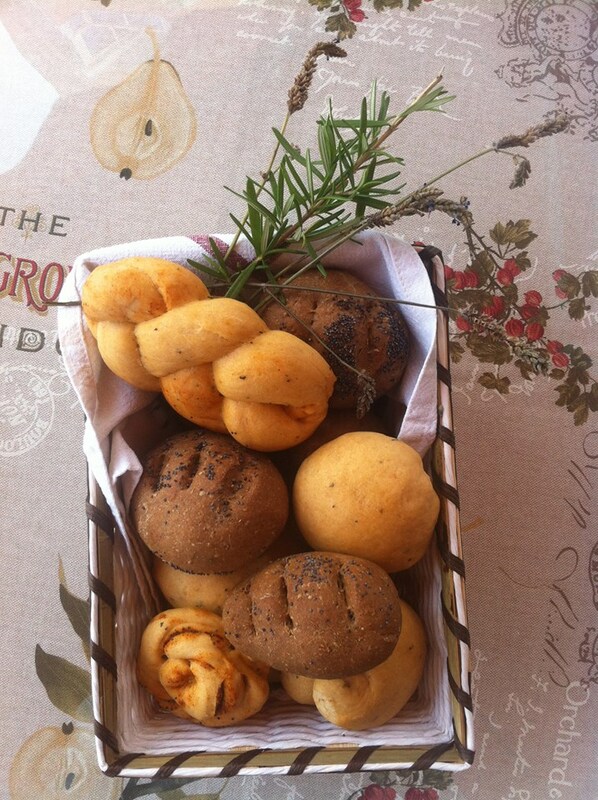 We were treated to an amuse bouche, and homemade alioli and fresh bread while we waited. All tastes were sublime, fresh and in season. Sitting outside in the Autumn sunshine was beautiful, watching the local tiny market and the comings and goings . The inside of the restaurant was magnificent too, bright and colourful and housing a gallery for local artists, a great place I can imagine for a fabulous party, or a cosy dinner in the cooler months. I truly loved the way, La Maroma, with a little imagination and a flair for service offered something divine, and to top it off the bill came, with 2 glasses of cold dry Cava, to say thank-you. 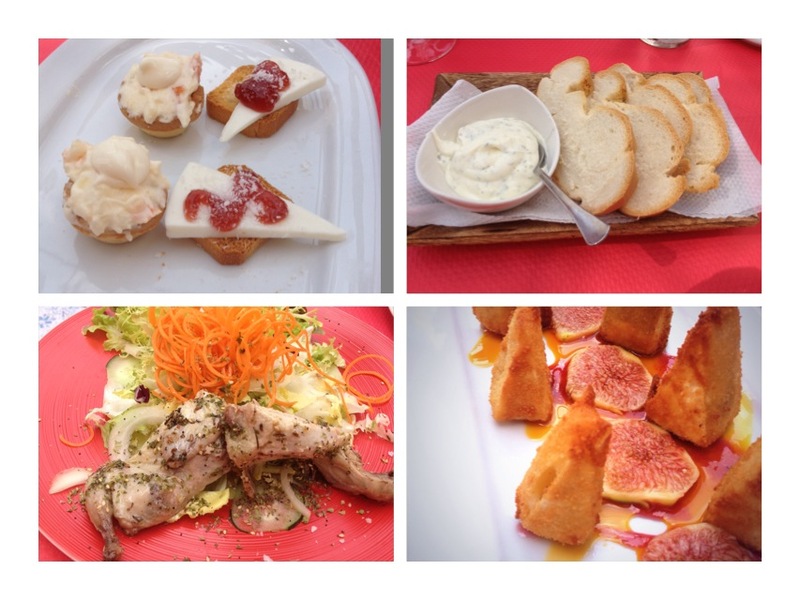 Our next Gastronomic find was Gastrobar Las Perlas in Torre del Mar, searching for somewhere special to dine on my birthday, we came across the Gastrobar, review after excellent review and these were not wrong. From the moment we booked and then arrived, the professionalism, knowledge and passion was flawless. Dining with 2 of our children, I love them to try and sample new tastes and flavours, we chose the tasting menu and wow, mind-blowing. Each dish was served perfectly, and cooking methods and ingredients explained. Octopus, salmon, Foie, Ostrich,chocolate, dish after dish of impeccable presentation and molecular inventiveness. 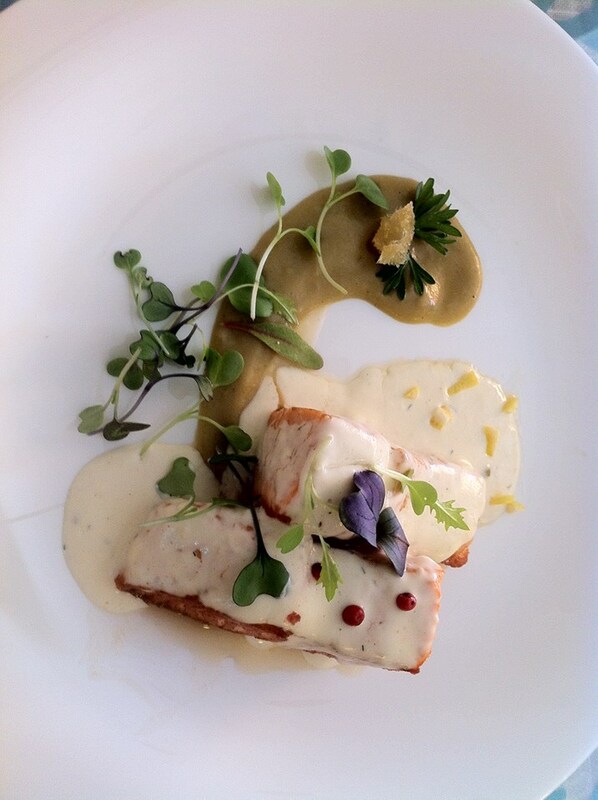 Fresh salmon, vegetables cream, tender mustard salsa and microsalad. Wine was recommended and served at our chosen temperature, hand-baked tiny bread rolls, and salted butter all added to our gourmet extravaganza. Gastrobar will now become one of our treasured places, to take and share with family and friends. Perfecto !